To begin the residential process or commercial electricity bid process and to receive a no-obligation residential proposal or commercial electricity rate proposal please fill in the questionnaire below. A PowerMax Energy consultant will get back with you within 24 hours. If you need to speak with someone immediately please feel free to call us at 1.800.580.6184 or just click the button. 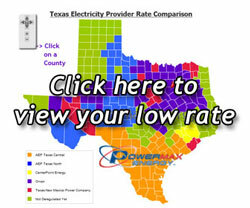 We will work with up to 25 Texas electricity providers to get you the cheapest electricicty rate. We will then meet with you, our client, to present to you a clear apples to apples comparison. We would love to help you save money on your electricity! Please fill out this form and we will get in touch with you shortly.